Street names: Rock, Charlie, Coke and Snarfy. Cocaine is sold as a white powder and is derived from coco leaves (Erythroxylon coca). 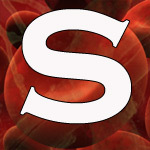 It can be smoked, inhaled ("snorted") or injected and is metabolized in the body to form the compound benzoylecgonine. South American Indians in the Andes have been chewing coco leaves for thousands of years for the narcotic effect and the Spanish conquistadors, although officially very against the practice, introduced the leaf to Spain and the practice (of chewing coco leaves) gradually filtered through to the rest of Europe. Cocaine was widely prescribed as an ingredient in tonics and was even one of the ingredients in Coca Cola, until the 1900's when the manufacturers decided to remove it from the formula due to public demand. Cocaine is usually sniffed or "snorted". This is done by forming a small, thin line of the powder (commonly known as a "line") on a flat surface and bringing the nostril close to the one end of the "line" and inhaling sharply whilst following the line of powder. A tube may also be used to facilitate inhalation. This is sometimes followed by rubbing the remaining dregs of powder onto the inside of the mouth and on the gums. The drug is also injected intravenously, and may be mixed with heroin in the syringe to produce a drug called "Speedball". An intense feeling of euphoria and energy is reported to occur on sniffing cocaine and the "high" lasts for around about 15 minutes. Cocaine users reportedly do not develop a tolerance for Cocaine, so the amount inhaled or injected usually produces the required "high" without having to be increased with subsequent use, but the temptation to increase the dose to intensify the effect of the drug is reportedly very high. When the effects of the "high" wear off the user usually feels tired and depressed and this encourages the user to use more cocaine. Dependency is still being debated, with conflicting reports as to the addictive effects of cocaine. Constant use of cocaine damages the membrane of the nose and causes a weakening of the septum, and total disintegration of the septum may occur. Nose bleeding is very common when sniffing cocaine. The euphoria and energy experienced in the "high" are eventually replaced by nausea, irritability, restlessness and paranoia in prolonged use. Most cases of prolonged cocaine use have resulted in the development of paranoid psychoses, and some cases have been reported to be irreversible. Crack is sold in crystals or "rocks", is smoked, and is a much purer form of cocaine, producing a longer "high" - being more readily absorbed through the lungs. This form of cocaine is extremely addictive and causes severe respiratory problems along with the above-mentioned side effects. 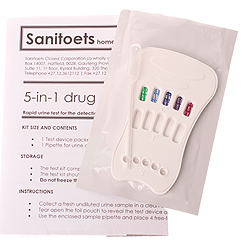 A simple urine test sold by us can detect the presence of cocaine and to view this test kit, please click here.